A play about love. And dementia. But mostly about love. 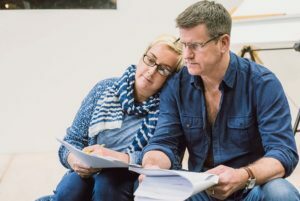 Rob and Cathy are successful fifty-something professionals, looking forward to reclaiming their own lives now that their daughter Nicola is grown-up and settled; but looming over all three is a threat that could rip their future apart. Descent explores their battle to hold on to each other – and themselves – in the face of early-onset dementia. Descent doesn’t flinch from the despair and the heartbreak they face – but it also celebrates the courage, the hope and the humanity they bring to the fight, and how the determined love they have for each other can help them to survive even this darkest of challenges. 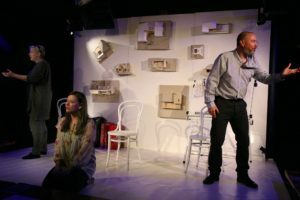 The play had a highly-successful first production at Òran Mór and The Traverse, and was nominated for two CATS awards (Best New Play and Best Male Actor). This production (in partnership with Beacon Arts Centre) will tour in Spring 2017 to major cities, rural towns and village venues throughout Scotland. 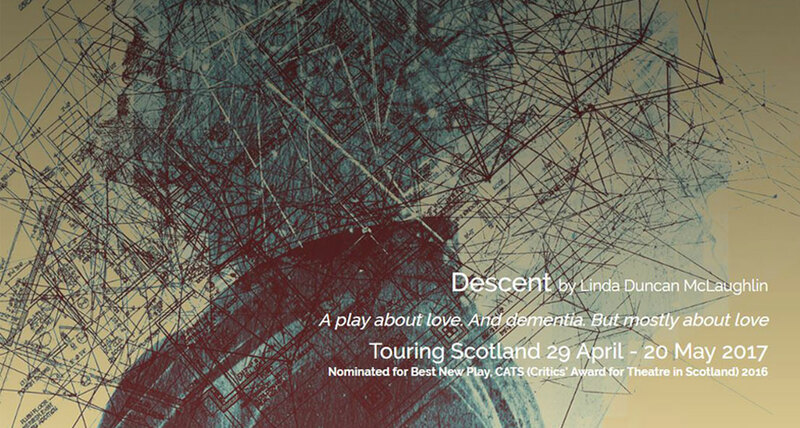 Descent was previously produced as part of A Play, A Pie and A Pint at Oran Mor, Glasgow and The Traverse Theatre, Edinburgh in October 2015. The play was acclaimed by audiences and critics alike, receiving four- and five-star reviews throughout its run. It was nominated for two CATS (Critics’ Award for Theatre in Scotland) in 2016, for Best New Play and Best Male Actor. 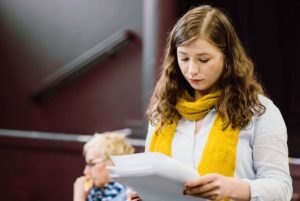 It was directed by Allie Butler, and performed by Barrie Hunter, Wendy Seager and Fiona MacNeil.